QUALITY TOYOTA CAMRY HYBRID! TWO OWNER FLORIDA CAR! CLEAN CAR FAX! EXCELLENT CONDITION! Includes:4-Cyl, Hybrid, 2.4 Liter, Automatic, CVT, FWD, Traction Control, Stability Control, ABS (4-Wheel), Anti-Theft System, Air Conditioning, Power Windows, Power Door Locks, Cruise Control, Power Steering, Tilt Wheel, AM/FM Stereo, Satellite Feature, Bluetooth Wireless, Dual Air Bags, Side Air Bags, Steel Wheels. LOCAL TRADE IN! GREAT CAR! THIS CAR IS SPOTLESS! THIS CAR GETS ABOUT 33 MPG IN THE CITY. THE CAMRY HAS EXCELLENT SAFETY FEATURES. COME IN AND GIVE IT A TEST DRIVE! 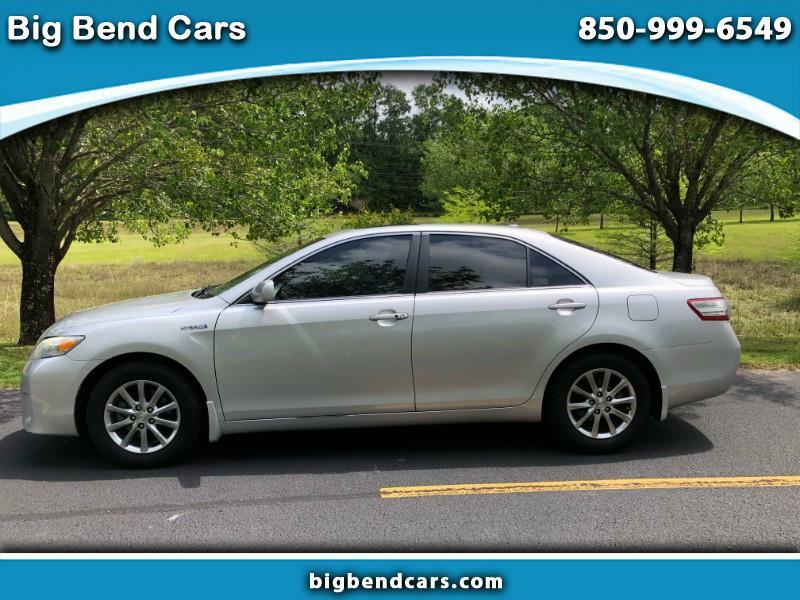 The 2010 Toyota Camry continues to live up to its reputation as one of the most sensible buys among midsize sedans. The Hybrid continues to be one of the most fuel efficient vehicles on the road, in addition to ranking as one of the lowest carbon dioxide offenders in its segment. Message: Thought you might be interested in this 2010 Toyota Camry Hybrid.